Take the frame and plan out where you want your hooks placed. Once decided, drill correct sized holes into the frame. 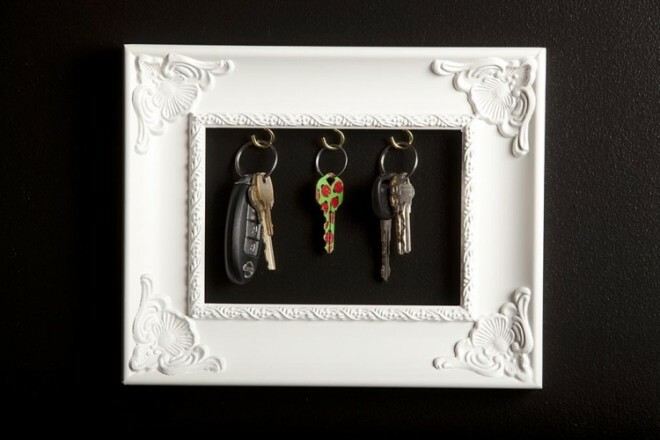 Screw in each hook, mount to the wall and hang your keys!